www.ultimatehandyman.co.uk • View topic - Does this look like damp? Does this look like damp? Post subject: Does this look like damp? I have recently received a house back from a tenant, and I noticed that the carpet in one of the rooms is heavily marked. 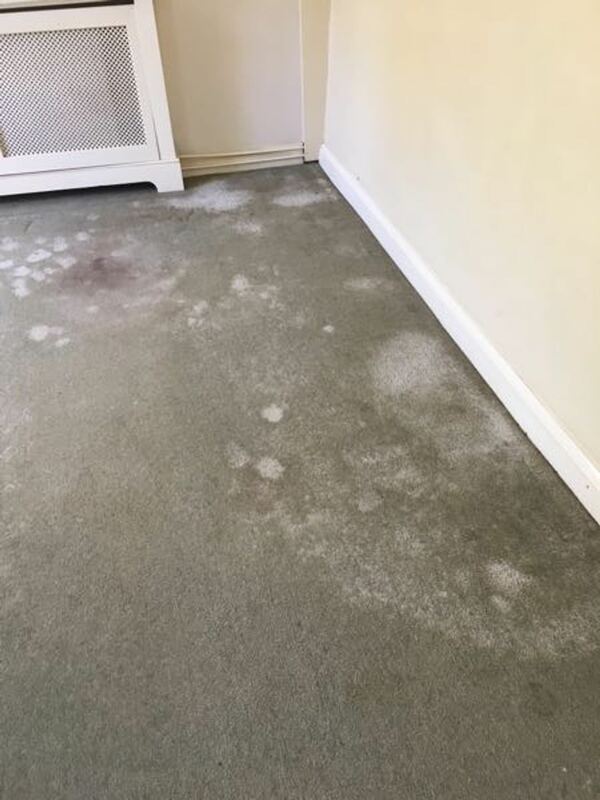 I'm looking to claim against their bond money to replace it, but they are saying that they did not cause the marks from any spillage, and they believe that the marks are caused by damp. Apparently the marks "grew over time". It is an old house, and the room does have a light smell of damp, but I am not convinced that these markings could have been caused from damp rising through the floor or something. Not had a problem with the carpets like this before. I'd basically just like to get the carpet replaced and move on as quickly as possible. Just wanted to get some advice from people who may be familiar with what damp looks like so I know that I'm not going mad! Post subject: Re: Does this look like damp? What's under the carpet, what is the subfloor? It does look like mould but mould in houses is normally black. It looks like water damage to me. Any pipe leaks that have allowed a creep under the carpet? Is there any apparent ceiling repairs? Has there been an accident they caused, repaired and did not tell you?